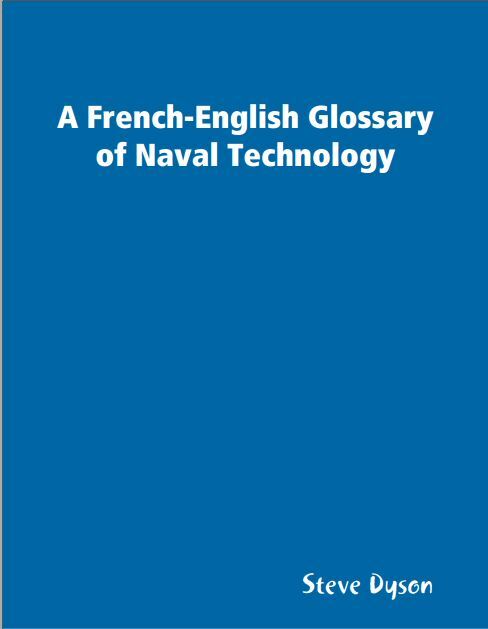 Below I explain how I applied the experience, analysis and observations recorded in the last three posts — Terminological consistency #1, Terminological consistency #2 and Terminological consistency #3 — to the task of compiling my French-English glossary of naval technology. Most documents can be broadly classified as technical journalism as described in Why 'technical journalism'?, TJ and term variability and Defence is different. Most documents were written by engineers, in-house communicators or other journalists writing in French journalistic styles and completely unaware of the benefits of technical communication guidelines, beginning with terminological consistency. On the other hand, I am bi-cultural enough to readily acknowledge that most mother-tongue readers of French naturally object strongly to repetition and probably also find it off-putting. Conclusion: While terminological consistency would make life easier for the Fr-To-En translator it is very unlikely to improve this type of text for the designated readership. Application of the method described in Value proposition, Translation by emulation, take #1 and Translation by emulation, take #2 meant that I typically aimed to emulate the style and devices used by mother-tongue contributors to publications like IHS Jane's Naval Forces. Terminologically, Jane's Naval Forces and most of the other technical and defence journalism that I have read over the years are characterised by a combination of (a) some rigorous standardised terminology, (b) some precise terms and designations established by product manufacturers, programme authorities and the like, (c) extensive use of acronyms and abbreviations that typically appear once in long form early in each article, (d) extensive use of metonyms, synonyms, generics, and other lexical stand-ins and the like, and, last but not least, (e) a constantly evolving sprinkling of jargon. The last three categories are used, naturally enough, to avoid repetition and to add sparkle and variety. 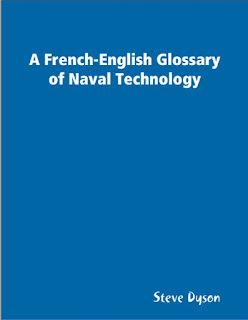 Such is the essence of the translation challenges posed by technical journalism and such is the essence of the highly personal structure and organisation adopted in compiling my French-English glossary of naval technology (aka #NavTechGloss). For more on metronyms, see Terminological consistency #5.